Does Guerrilla's latest job posting mean a new Killzone multiplayer game? Guerilla Games, the studio behind the Killzone series and Horizon Zero Dawn, is hiring. You might think that's only interesting to HR managers, but it's specifically looking for someone with multiplayer skills in "systems like matchmaking, tournaments, clans and leaderboards." 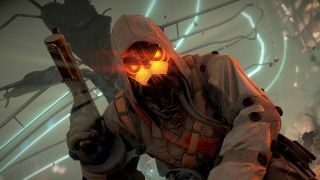 Is Killzone making a comeback? The listing is for a Java developer, and points interested applicants to articles about 2013's PS4 exclusive Killzone Shadow Fall. There's also chatter about managing concurrent users and server tech, so this is definitely not for another single-player, Horizon Zero Dawn style experience. The robot-dinosaur epic was published in 2017, the studio has been quiet since. The only other project it's been public on is helping our Hideo Kojima with Death Stranding, sharing its Decima Engine tech and opening a small satellite studio for Kojima Productions at its Amsterdam HQ. It seems unlikely that this listing relates to Death Stranding though, unless we're getting Norman Reedus battle royale as a bonus mode. The Killzone series was once the PlayStation show pony, with the very first game released in 2004 for the PS2. Killzone 3, released for the PS3 in 2011, was notable for including support for the PlayStation Move controllers and 3D. Remember when 3D gaming was briefly a thing? Killzone Shadow Fall was a PS4 launch title in 2013, and the last big release for the series. Since then, the studio has been enjoying the critical acclaim that came with Aloy's adventure. "I have learnt that taking a huge leap of faith and a massive creative risk can work," Guerrilla Games MD and co-founder, Hermen Hulst told us last year. "I knew it was going to pay off in terms of satisfying me creatively, but it’s been commercially very viable for the team. To see that risk-taking approach rewarded by people buying our game to this scale is important for us to see, as it’s important because it buys you creative freedom in the long run as a development house." The hottest upcoming PS4 games for 2019 and beyond - including Death Stranding, Sekiro, The Last of Us 2 and more.